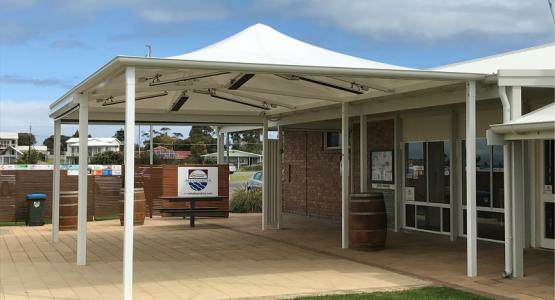 The Glenelg Golf Club’s upstairs balcony is a fantastic spot for members to enjoy, with sweeping views over greens and manicured fairways. 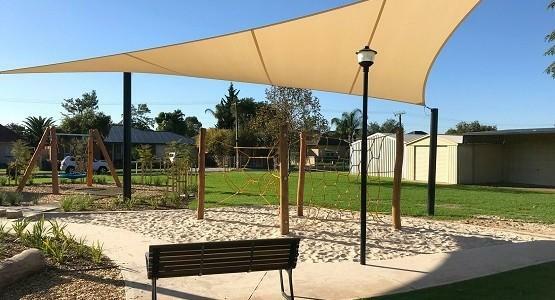 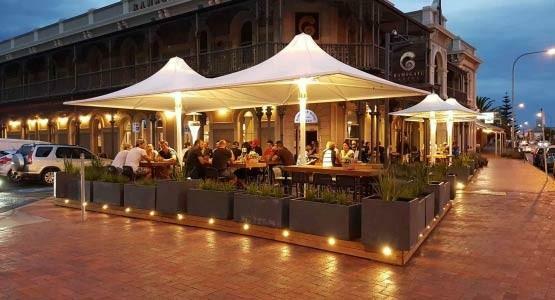 To indulge patrons and give them the satisfaction they deserve, Shadeform were asked to install a striking waterproof canopy for this popular function area. 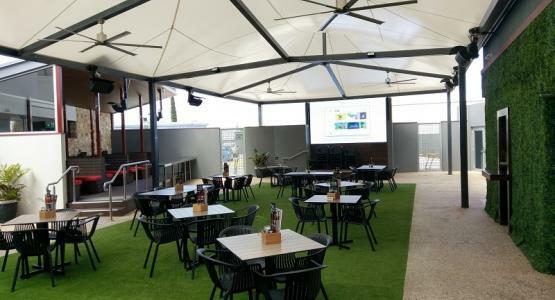 The end-result was a completely re-vamped space offering an uplifted atmosphere, and perfect alfresco conditions all-year round. 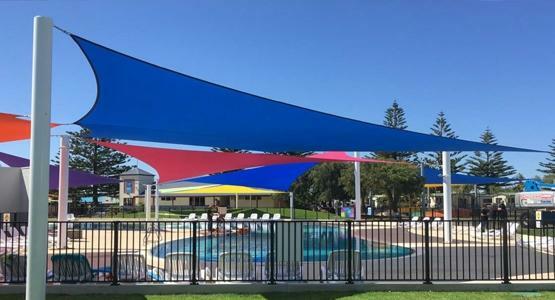 To give this long established club the wow factor it deserves, a massive custom quadruple-cone design was chosen for the waterproof canopy. 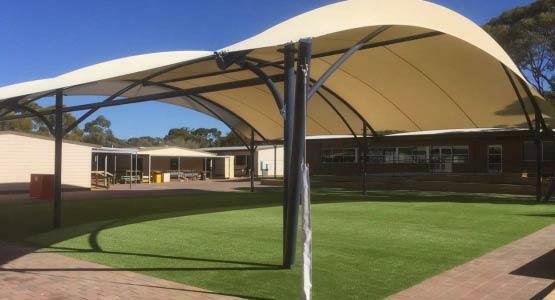 Using a brand new PVC membrane from Mehler (Valmex FR 700) this heavy weight fabric is incredibly resilient (offering a 20 year warranty) and offers a zero-maintenance lacquered surface. 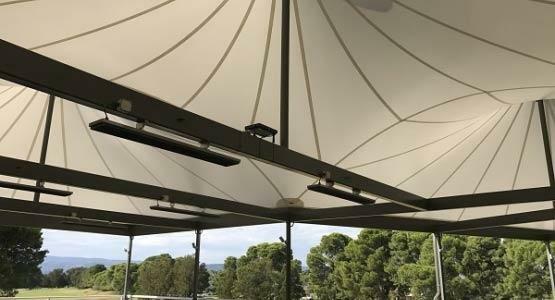 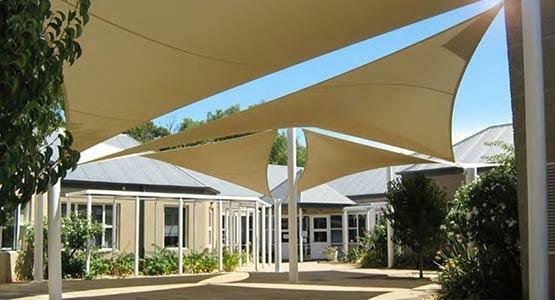 A complete FEA analysis was performed by membrane specialist Shade to Order, ensuring a robust structure and a nice even fabric canopy. 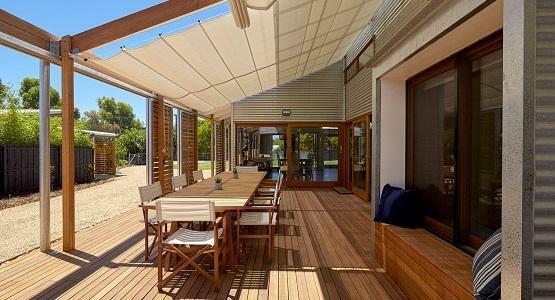 Being such a large structure, it was important that all aspects of the design were considered. 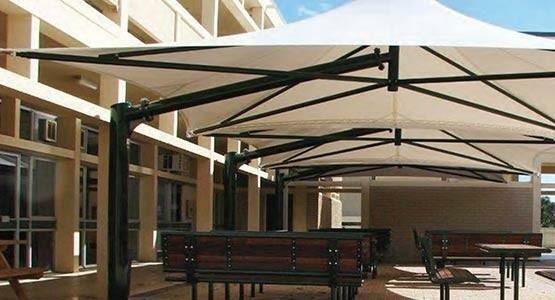 By using 3D design software this accuracy could be achieved, which then allows fabrication and shade manufacturing to be based on exact measurements.